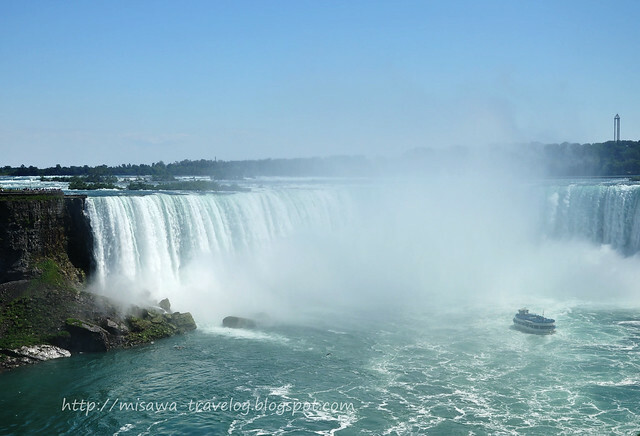 Niagara Falls is the collective name for the 3 waterfalls: "Horseshoe Falls (The name is derived from its horseshoe shaped), the adjacent "American Falls" and the small "Bridal Veil Falls" (both are within the US border). 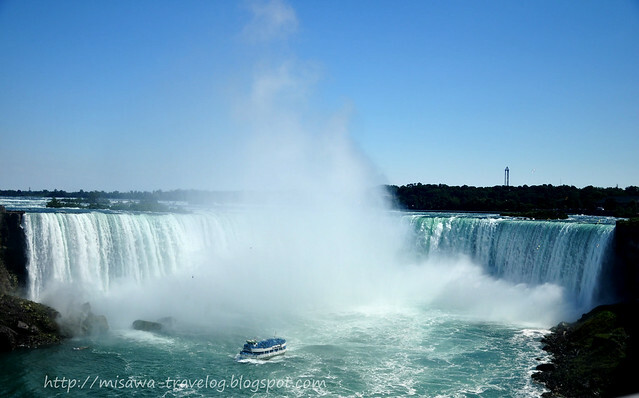 Much of Horseshoe Falls is located on Ontario, Canada and that's why it's also called Canadian Falls. The Bridal Veil Falls is named for its appearance and is located next to American Falls separated by a small piece of land called Luna Island (see my first photo above). July 16, 2011- This was the last day of our trip in Canada before driving back to Ohio. 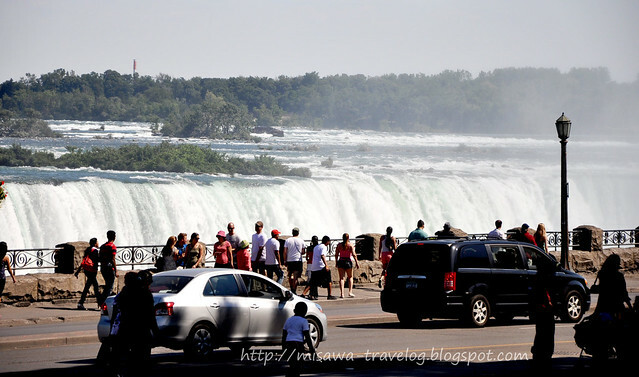 We didn't have enough time to explore Niagara Falls in Canada but there lots of things to explore around the area than in New York. My brother-in-law (my husband's brother) and his kids went with us to the falls and we spent only a couple of hours before we parted ways. 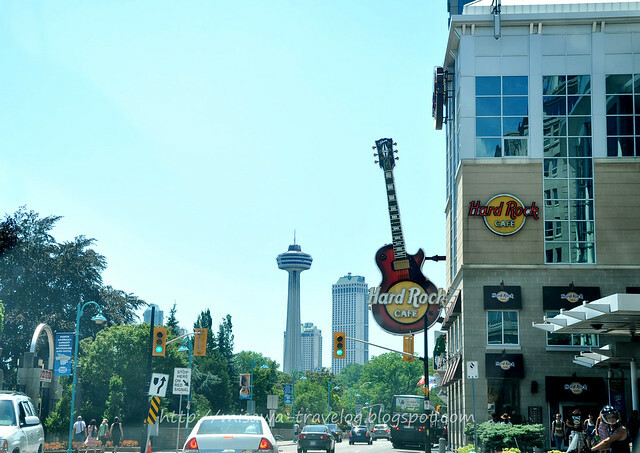 We parked in the Skylon Tower's parking lot but we didn't have the chance to go up to the tower to see the view (weird huh?!). That day was a nice and clear than the day we first saw the falls in New York side. It was a perfect timing to take pictures although we got sunburned from the intense heat of the sun. The view of Niagara Falls in Canada for me is better than New York, although the American side view is much closer to the falls...... so I guess it's better to see both ;-) like we did hehehe. 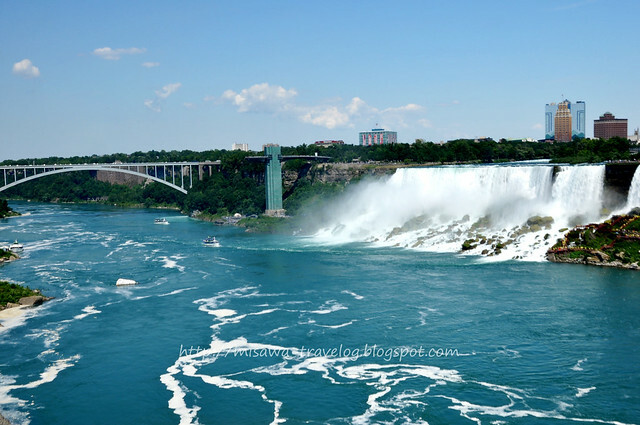 If you want to compare the views, here's my previous post on Niagara Falls in New York, USA...click here. hubby and i are talking about this and how we should really go visit it. napa-WOW talaga ako sa mga larawan! but wait. bakit po nagkalat yata ang "bridal veil falls" sa amerika? if i'm not mistaken, i saw one in yosemite, years ago. then as i hopped to one of the travel blogs i follow, i learned meron din sa alaska. 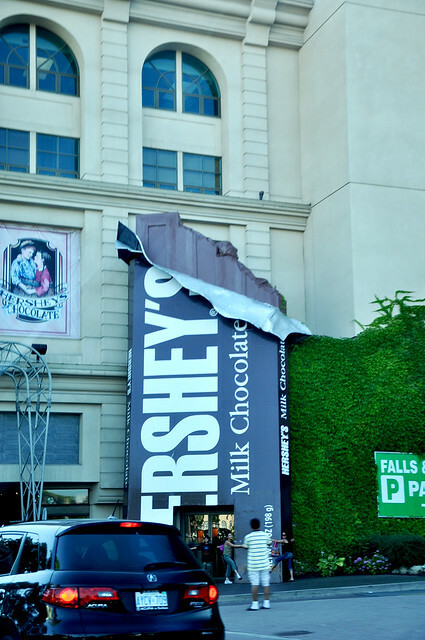 one thing is common, these falls are amazing! You outdid yourself, Missy. What a wonderful time you seem to be having. Know you will miss all that beauty, but it is always nice to be back home. Do keep in touch. I signed up for Twitter again, after a long absence, so drop me a tweet from time to time @photo2015. 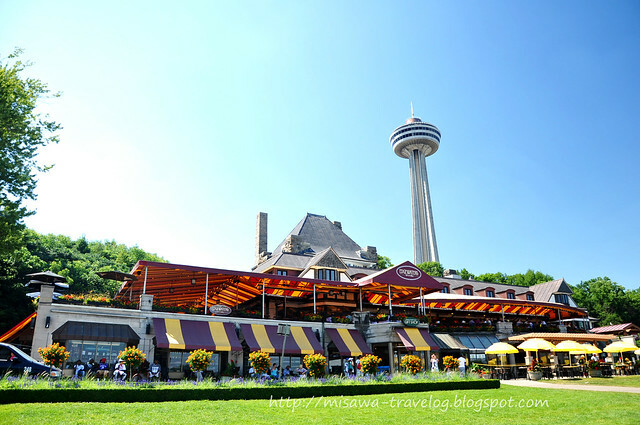 What's the best season to visit Niagara? Though I don't have the plans of immediate visit. 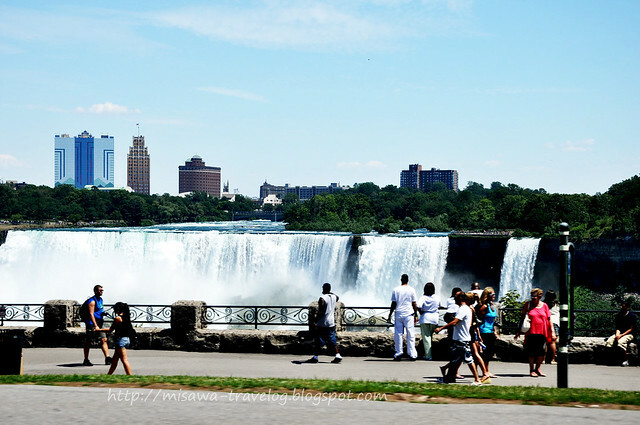 Just imagine Niagara falls na frozen sa winter, ganda kaya sa photo 'yon? I live in Canada and i always go and enjoy the Niagara Falls. But this time i am sad because i have to go out of the country due to some awful reasons. That's the reason i am depressed. 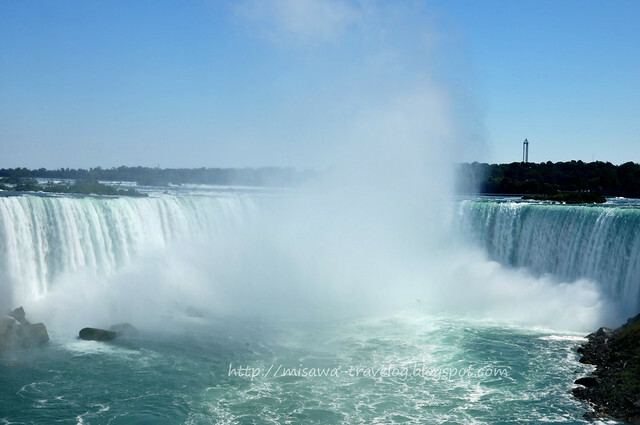 I want to go to Niagara Falls to enjoy this natural beauty but i really don't know that How to go to Niagara falls from Toronto to get myself rid out of some horrible pains. But this time is looks impossible for me. I started my blog in 2008, when we were stationed in Misawa, Japan where I was inspired to share my adventures and travels there. We always move to different places due to the kind of job my hubby has. I am currently living in Florida since 2013.....let me share with you my journey in life through my travel photos as my travelog continues. If you have questions please leave your comments, I will be happy to answer all of them. A botanical garden in a snow land. Welcome to the 2L3B's World..
Friday Shootout - Lines, Space, etc. Good Morning, Pan de sal! What species of fish am I?